Mangaluru, Aug 11,2017: The National Green Tribunal (NGT) was established on October 18, 2010 under the National Green Tribunal Act 2010 for effective and expeditious disposal of cases related to environment protection and conservation of forests and other natural resources, the environmentalists were elated as they saw a ray of hope in NGT. The actual experiences report inordinate delay in the case related to Yettinahole project has made environmentalists concerned and set for other legal options as alternatives. "More than two years since the NGT took up cases against the Yettinahole project and we were hoping that it would be disposed of or get at least an interim order, even if not stay order," Devraj Hettur, president of Sakleshpur taluk unit of Krishi Sangha and one of the protesters, who started opposing not only the Yettinahole project, but other projects in Western ghats, including the Gundia hydropower project which was planned in 2005. A hurdle for environmentalists is that once the case is in NGT, then they cannot go to any other courts, other than the Supreme Court. Hence, according to sources, the greens have three options now - "Approach the Supreme Court to seek a direction to drop the case in NGT; file a complaint before the Supreme Court to seek its intervention as the case is being delayed inordinately and to request the Supreme Court to transfer the case back to NGT Bench in Chennai." The case was transferred from NGT Southern Zone (Chennai) to NGT Principal Bench in Delhi following the resignation of environmental expert Prof Nagendran, who quit after the hearing of the case and when the judge had filed report for the pronouncement of the order on Yettinahole (the judge had sent a 100-page report to Prof Nagendran for his signature before the pronouncement of the verdict). "Though the greens were initially happy when the case was transferred to Delhi as NGT Chairperson Justice Swatantra Kumar, a former judge of the Supreme Court, himself is hearing the case, delay in taking a decision on the project has worried the greens," Dinesh Holla, who is leading the Save River Nethravathi Movement, said. Holla also rued that the slow pace in which the case is progressing gives rise to a suspicion that the state government as well as the Karnataka Neeravari Nigam Limited (KNNL) are meddling in the case. Stating that the government is worried about only development and not environment, Holla said that unless the source of rivers are protected and the government stops giving permission to construct resorts and mega hydro power projects in eco-sensitive zones, identified by Unesco as one of the 39 world heritage sites, then the future would be bleak. "If courts too fail to provide justice, then it would be a failure of democracy," he observed. 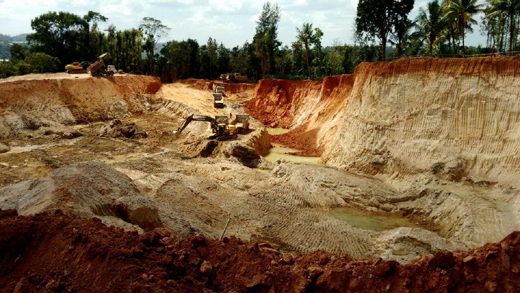 According to environmentalists, the Karnataka government renamed the Yettinahole project in 2014 as Yettinahole Integrated Drinking Water Scheme, only to be exempted from holding an impact assessment study. Quite interestingly, the next hearing of the case before the NGT Principal bench in Delhi is on August 11, wherein the respondents have been asked to make power point presentation to convince the court that the project is purely a drinking water project and irrigation components are not present in the project. The environmentalists too are all set to disclose the damage caused to the Western ghats eco-sensitive zone in the name of drinking water project and that it is an irrigation project. "We have video footages as well as images of the recent developments to prove the damage caused to western ghats," said an activist.